A Internet Guide To Choose The Right Paint Gloss Levels For Your Home! Finish: When painting professionals talk about the “finish” they are asking “How Shiny do you want the paint to be? “ This is commonly referred to as paint gloss levels. The Masters Painters Institutes or MPI has developed a industry standard and broken gloss levels into 7 types of finishes. CLICK HERE to learn more about MPI and how it determines a paints gloss level. 2 Velvet Sheen/Low Sheen this finish barely reflects light and is more scrubbable than a flat paint. This finish can be washed with a spounge and warm soapy water. 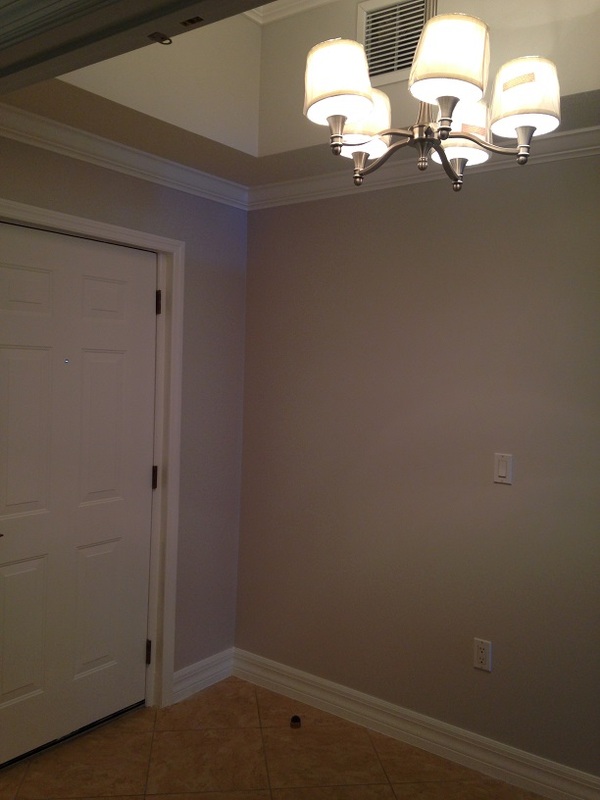 iREPAINT has painted many walls and ceilings with a velvet/low-sheen paint. We let our customers choose which finish is best for them because it is a personal preference. 3 Eggshell this finish has a slightly polished glow. If you look down a wall at an angle you will see a slight glare and natural light will cause you to see wall imperfections. 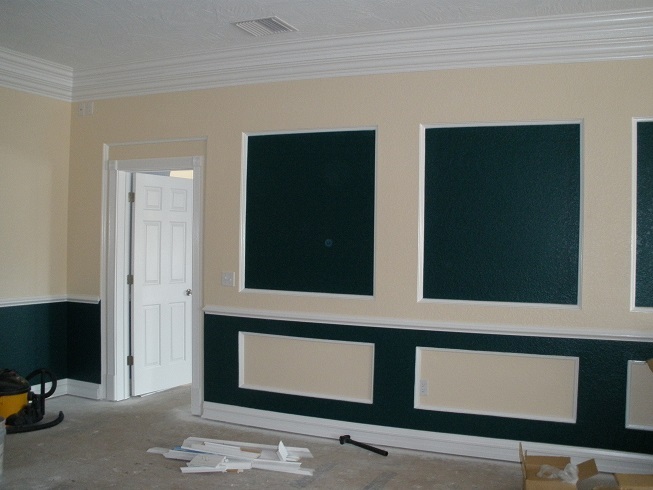 Eggshell paint is most commonly used as a wall paint. 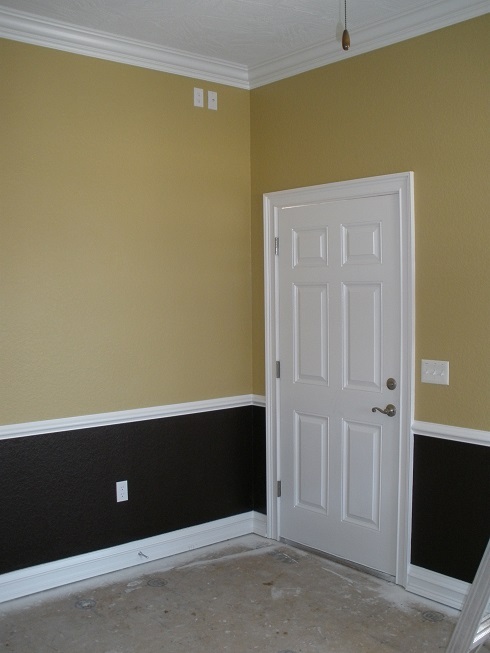 If you are painting a flat finished wall and changing to a eggshell finish, two coats are mandatory. Yes lots of paints make outrageous claims about the “Newest Paint Technology” . I can see the uneven gloss after only one coat of eggshell paint and that is not top quality craftsmanship. 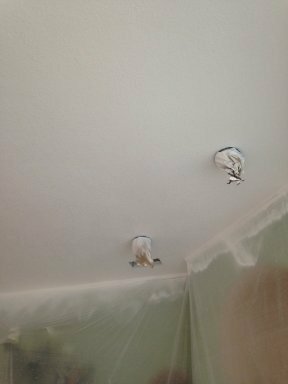 iREPAINT is Volusia County's Finest Painting Contractor and we only do top quality work! 4 Satin this finish again just reflects more light. 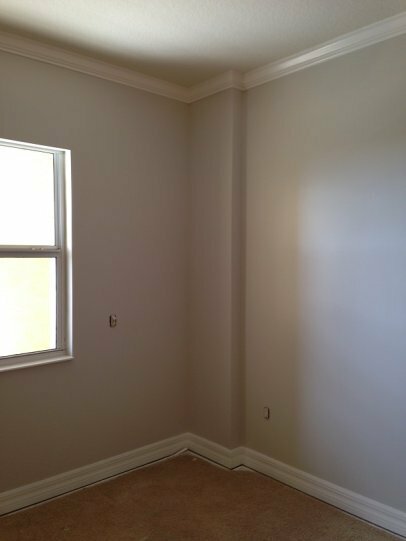 Many trained paint professionals often can't tell the difference between Satin and Eggshell paints after a year of aging. This is in the middle of the MPI paint gloss levels scale. iREPAINT used a Satin finish wall paint in a dental office. A great choice because these walls received daily washing with a spounge and warm soapy water. It has held up great for 3 years now. 5 Semi-Gloss this finish is noticeably shiny. A common paint for use on doors, frames, wood baseboards, crown molding and so many more trim items. iREPAINT has painted entire houses with semi-gloss paint. Some landlords love the paints ability to clean up after tenants. And if that's what our customer wants, No Problem! 6 Gloss this finish is shiny and is highly reflective. A common paint for wood trim items. Some customers just prefer for the additional shine. 7 High-Gloss this is the most reflective of interior paints. Most common for use on trim items. FYI ... General Rules of thumb, but each circumstance varies. Be sure to test your surfaces for proper adhesion. Shiny paints tend to make wall imperfections more noticeable. Glossy paints reflect more light and highlight where surfaces change direction. A bow in a wall or a bad drywall seam will stand out. Shiny Paint is less likely to touch up after 6 months or more. Once the paint has weathered for a while the paint out of the bucket will be shinier than the paint that has been on the wall for 6 months. Sometimes the paint will blend in time and other times it will just continue to show. Using a good quality paint will give you better chances of blending. Shiny paints tend to not let less shiny paints bond or adhere properly. Always clean, sand and test!!! Always frustrating to see paint pick right off of an existing surface. Unfortunately once this has been done there is not a good fix other than stripping or replacing.